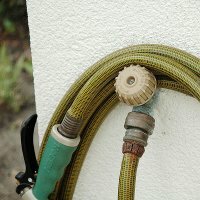 Controlling hoses: You can also use a large, up-ended terracotta pot to wind your hose around for storage and to keep it from kinking. Once wound, push the nozzle end in the pot drainage hole to keep it in place. There are convenient hose-reel winders you can attach to the wall of your house next to the outdoor tap or ones you can wheel around the garden. drip-feed system. Unlike a seep hose, which delivers water all along its length, automatic drip-feed and trickle systems consist of a tube and individual nozzles which can be positioned to direct water where it is most needed - to individual plants, for example, that need more water than others. A variety of nozzles are available to produce sprays or trickles, and the system can be expanded using connectors and additional tubes. There are several systems you can employ, some comparatively low-tech, others highly sophisticated. Sand bench: The simplest is a tray of sand, connected to a water tank that feeds it via drip feed nozzles. Pots are set on the sand and take in water through their drainage holes. 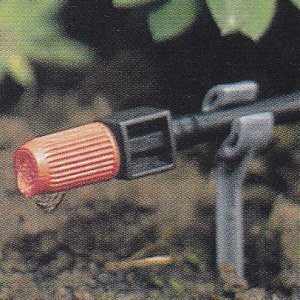 Trickle irrigation: This consists of a plastic pipeline with nozzles that drip water into planters, or feed misting jets that moisten plants from overhead. 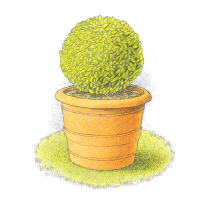 The flow of water from a small tank is usually controlled by a hand-adjusted valve. Photo-electric control: This system automatically switches on when the light reaches a certain intensity and runs for a set period. It can be used to run either of the systems above.